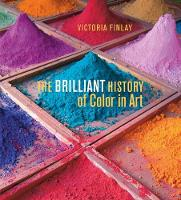 This is a irresistible and wonderfully illustrated exploration of the history of colour in art. The history of art is inseparable from the history of colour. And what a fascinating story they tell together: one that brims with an all-star cast of characters, eye-opening details, and unexpected detours through the annals of human civilization and scientific discovery. 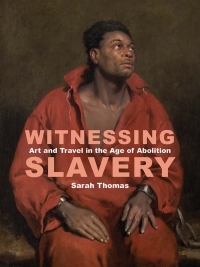 This book takes readers across the globe and over the centuries on an unforgettable tour through the brilliant history of color in art. Written for newcomers to the subject and aspiring young artists alike, Finlay's quest to uncover the origins and science of colour will beguile readers with its warm and conversational style. 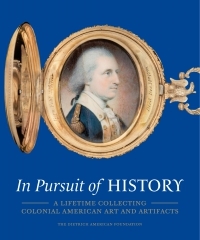 The rich narrative is illustrated in full colour throughout with 166 major works of art. Readers of this book will revel in a treasure trove of fun-filled facts and anecdotes. Were it not for Cleopatra, for instance, purple might not have become the royal color of the Western world. Without Napoleon, the black graphite pencil might never have found its way into the hands of Cezanne. Without mango-eating cows, the sunsets of Turner might have lost their shimmering glow. And were it not for the pigment cobalt blue, the halls of museums worldwide might still be filled with forged Vermeers. Victoria Finlay is the critically acclaimed author of Color: A Natural History of the Palette and the former arts editor of the South China Morning Post.